There are 13 reviews of Italian Bergamot. As you'd expect from a company that harvests it's own bergamot, a very pleasing natural bergamot opening , rustic and organic in smell and incredibly refreshing, ten minutes in and the neroli begins to carry it through, then i get a small twist of rosemary that keeps things traditional and again rustic. Once this has settled on my skin it smells like I've been picking bergamot fruit and bits of shrubbery. The general smell is one of coastal italian sophistication and balance with all ingredients perfectly aligned for a linear 3/4 hour duration. A little pricey but there are some good quality oils used and the bottle looks very grand and bold with a magnetic cap. Slightly unripe orange peel mixed with sweet lemonade in the beginning. The citrus keeps going into the drydown but you get more of a sharp, green note that gives it a light, refreshing feel. Very pleasant and crowd-pleasing. Perfect for daytime and warmer weather. Apparently the Zegna corporation owns some exclusive bergamot plantation in Calabria. 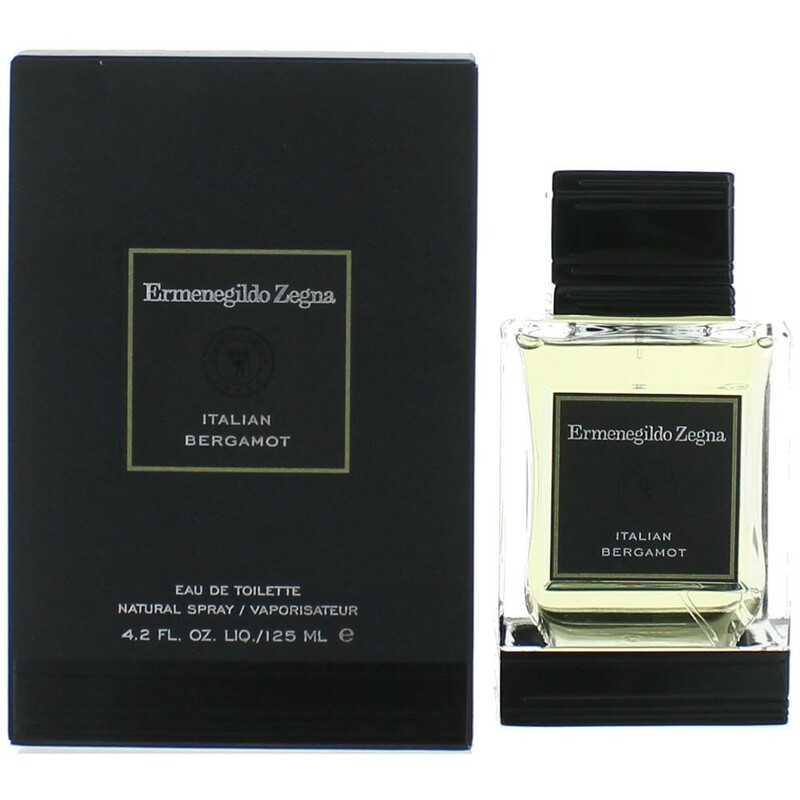 That forms the inspiration for Italian Bergamot, released as part of the Essenze line. This is the sort of composition that irks me. Its only redeeming feature is that it has a polish, which is expected for a mainstream release. Otherwise it's a steely, cold, sharp bergamot from start to finish, with hardly any other supporting note. I fail to see the purpose of a composition like this, when one can easily obtain some bergamot essential oil as an alternative. It is unbalanced and, as is so typical of such releases, severely lacks emotion, intelligence, abstraction and complexity. The star ingredient is bergamot, which is not as compelling by itself as lemon or orange, and has too much bitterness. The concentration is eau de parfum, however it has average duration and is extremely muted. It also lacks, because of its concentration, the invigorating and bracing aspects of a good, simple bergamot based eau de cologne. Yes, bergamot is in the centre of the opening blast. With touches of lemon on top of the top notes, it is bright, summery and refreshing. The drydown sees neroli and, a but later, a pleasant vetiver added on, with the latter also being on the bright-and-light side; it lacks any earthiness or tanginess. After the first hours all the top notes have receded, and I am left with a mix of herbal notes on the base of a nonspecific woodsiness. I get moderate sillage initially that softens dramatically after the first hour, good projection intially and a total longevity of three hours in my skin. This scent for hot weather is characterised by a very nice realisation of the core bergamot impression, but is characterised by somewhat less convincing heart notes and a dull base. The performance is poor, but when one conceptualises this product as a take on the tradition of the light and refreshing Eau de Cologne, this deficit in performance is not unexpected and cannot be held against it; Colognes are designed to be re-applied frequently through a hot day. Nothing exciting but crafted satisfactorily; the bergamot note is of a decent make. 3.25/5. Zegna Italian Bergamot is a pure lemon bergamot that has a bit of bubbling life that other lemon or bergamot perfumes miss on. The slight sweetness and almost edible, candied lemon smell is delightful. On the edges of the lemony bergamot is pure green that is tart but hardly noticeable and an herbal following note that smells to me like tarragon, but rosemary is listed. There is an ozone air cleanliness that hovers of the totality of these notes. The feel is clean buttoned up clarity that represents quality and integrity of nature as shown through the Zegna brand. This fragrance is immediately knowable as a very high quality product that is serious and respectful of the complete evolution of nature. High quality orange peel, and fresh herbs seamlessly blended together. The Rosemary isn't too harsh and in fact nothing is. It's a little like hiking in a lush valley. I would compare this to Creed Citrus Bigarrade but much more subtle in every way. Nothing is "too much", even the vetiver. If anything the vetiver and rosemary give it an earthy quality, like your in the out-of-doors on a sunny day. Ermenegildo Zegna Essenze Menâ€™s Eau De Parfum spr New in box Choose your scent! There are no member images of Italian Bergamot yet. Why not be the first?